While everyone acknowledges the role of technology in creating a truly Digital Mortgage process, the Mortgage industry is still apprehensive in adopting one of the most innovative technologies available – Blockchain. Mortgage process is highly complex and strictly regulated with multiple participants interacting with each other exchanging data and documents and adding transactions to the value chain. This is where the Blockchain technology rightly fits into the mortgage process reducing cost, increasing transparency and enhancing efficiency. Blockchain is the technology which uses computational mathematics and cryptography to maintain an open decentralised database to store value transactions whose authenticity can be verified by the entire participants involved. 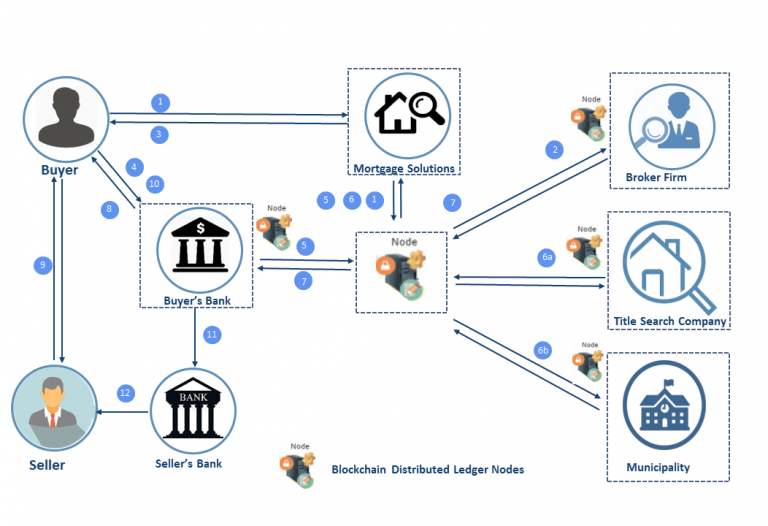 Blockchain technology can revolutionize the Mortgage industry in the following ways. Multiple participants keep copies of the redundant documents in different formats. This double data entry takes up time and data storage space. A digital asset is created in the Blockchain using mortgage loan data and documents. Authorized participants using public private key infrastructure add transactions to the Blockchain creating a unique ledger. This digital asset is then shared with the multiple participants including lenders, borrowers, title companies, escrow services, GSEs etc in a secured manner for data and document exchange. This secured exchange of information enhances customer experience reducing cost with faster turnaround time. The sheer volume of loan data and documents which includes the confidential and personal information of borrowers increases the vulnerability and poses greater risk of data theft. The recent data theft in Equifax is still not yet fully comprehended by the borrowers and lenders alike. Data security is an inherent feature of Blockchain. Further the source of information can be verified by the proof of concept. Additionally each transaction block is tied to all previous transactions and secured by the hash functionality. This cryptographic approach makes the authentication easier and reduces the risk of data breach. Smart contracts also called self-executing contracts, can automatically execute parts of the transaction when certain criteria are met. Recalculating loan-to-value ratios, loan offer and insurance amounts based on survey results is an example of smart contract. Blockchain can not only store information, but they can store code as well. These codes execute complex transactions without an intermediary based on a “if – then” premise. This intelligent automation process can substantially reduce operational costs and processing time. Since the Blockchain keeps track of all digitalized transactions, transparency is enhanced for audit and compliance purposes. Transaction details will be observable in real time with time stamping features—whatever transaction is recorded is tagged with the exact time it was carried out. Digital payments are yet another possibility where Blockchain can be used in the Mortgage space. Mortgage companies have to significantly improve the IT infrastructure for successful adoption of Blockchain since the computational requirements are large. Long term benefits will definitely supersede the short term costs. PreviousPrevious post:Importance of Salesforce in Mortgage Banking IndustryNextNext post:How Mortgage companies can leverage existing technology?